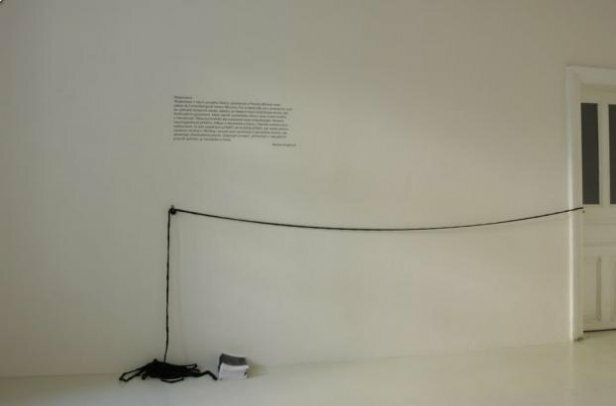 Teleportation in the title of the project by Tereza Janečková and Pavlína Míčová bears reference to Cronenberg’s horror film, The Fly. Canine and human bodies mix through animation into rhythmic image constructions. It’s as if the teleporting between animal species became a continuous process that (contrary to the aforementioned film) bears the new quality of return. The fluidity of transformations carries at the same time an alarming dimension of the story’s incomprehensibility. The reference to the horror film genre and the hint of narrative do not come through. What is the story about? It is still a story even though it does not have a clear narrative structure. Morphing and the background still bring to mind the semantics of horror, but the expected point is still missing. 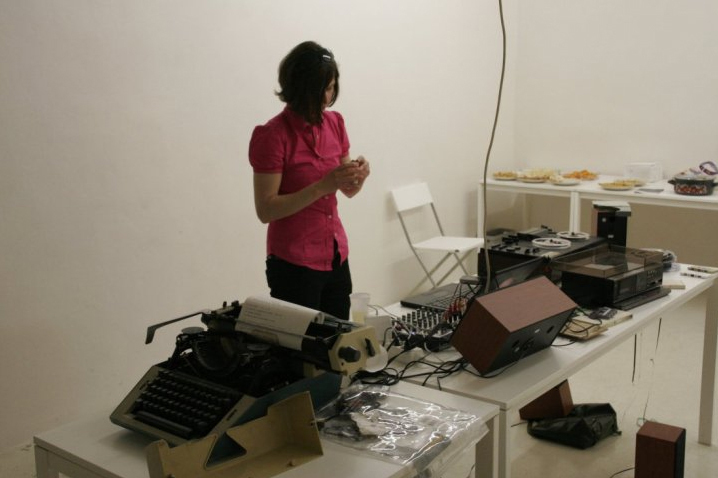 Important elements, present in the artists’ actual work, are hyperbole and irony. The defining image principle of all four films is the setting into motion of photographic images that in spots bring to mind found footage, and in part film experiments, in which the film (subversive with regard to its own essence) is constructed of static photographs. The environment in individual films has a specific character; sometimes markedly romanticised and at others calling to mind the (anti)aesthetic of home videos. 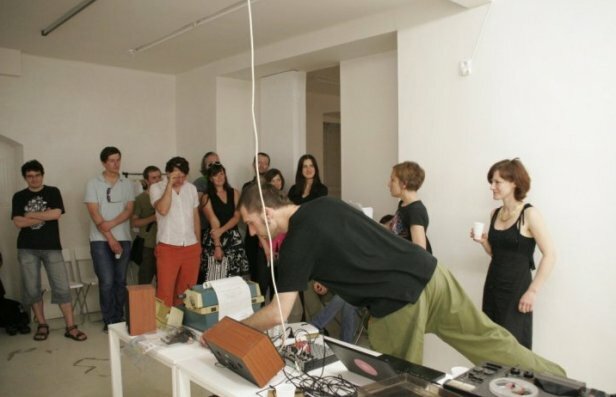 The inter-media intersection is a general trait of Janečková’s and Míčová’s works; both as concerns the fine arts as well as in the general dimension of these artists’ expert origins. Tereza Janečková completed traditional fine arts education at AVU (the Academy of Fine Arts), whereas Pavlína Míčová studied film and aesthetics at the School of Liberal Arts at Masaryk University. In this regard the continuous character of her work can be interpreted as a link between creative messaging and theoretical and/or theorised thinking. The aforementioned levels are clear mainly in the project, Vlevo nahoře, vpravo dole (Upper Left, Lower Right). Welcome on a trip through an inhabited virgin forest, whose components also include reflections on privacy, housing and households. Teleportation also speaks to the theme: private space. The animated dogs belong to the artists and/or their friends. They were not chosen based on a desired look or a predetermined given visual objective. 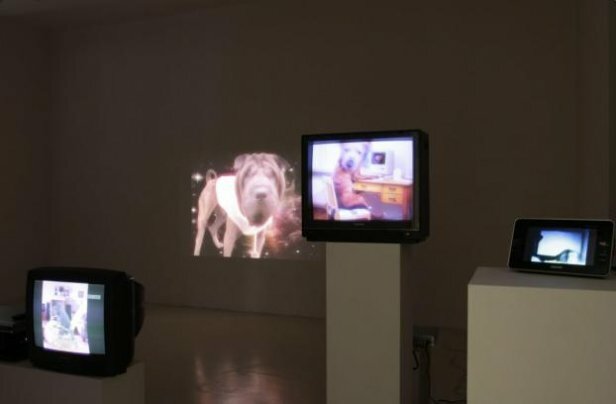 The canine animation is actually a segment of Tereza Janečková’s and Pavlína Míčová’s general theme, which is the exploration of their own image in social and cultural contexts.